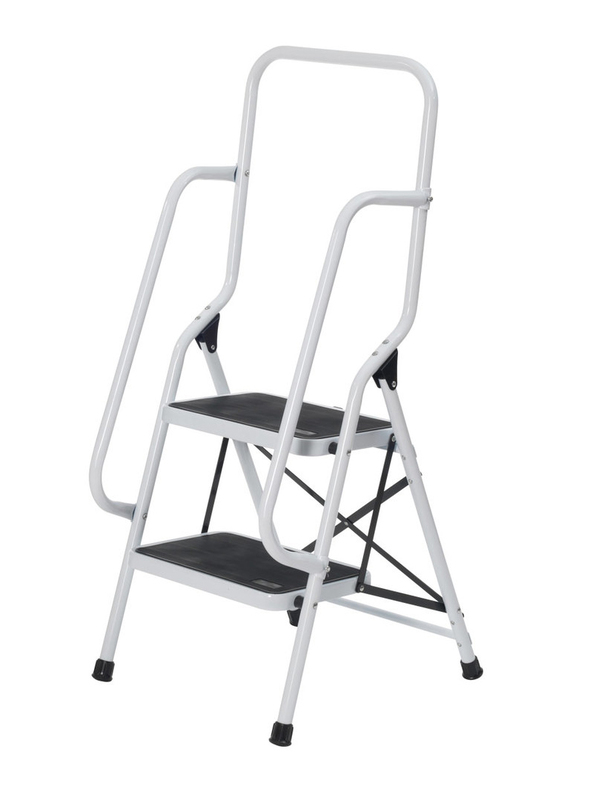 The Two step safety ladder is manufactured from robust steel and features both top and side rails for additional support. The deep steps have a non-slip rubber tread. 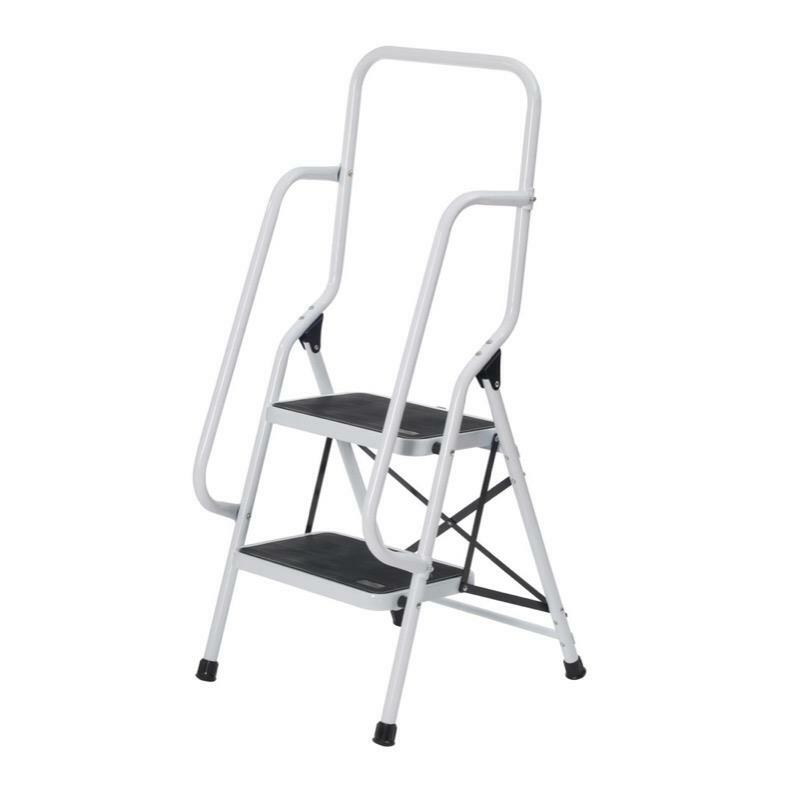 The Two step safety ladder is manufactured from robust steel and features both top and side rails for additional support. The deep steps have a non-slip rubber tread. The legs are cambered for added stability and they have non slip, angled rubber ferrules to help hold the ladder steady.